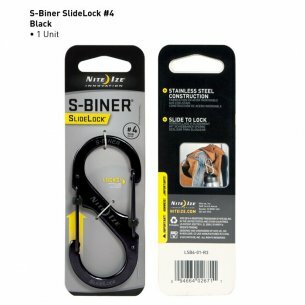 S-Biner SIZE # 2 SlideLock (LSB2-11-R3) of Nite Ize®. 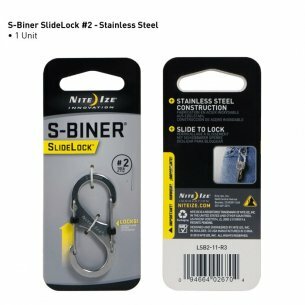 Organize, connect, carry, and keep your valuables extra secure with S-Biner Slide Lock Double-Gated Carabiner. 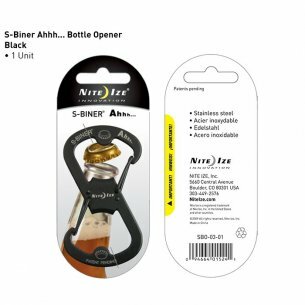 S-Biner SIZE # 4 (SB4-03-01) of Nite Ize®. Made of high quality, weather-resistant stainless steel. 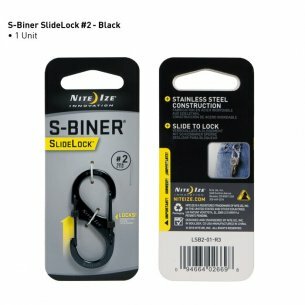 S-Biner SIZE # 2 SlideLock (LSB2-01-R3) of Nite Ize®. Organize, connect, carry, and keep your valuables extra secure with S-Biner Slide Lock Double-Gated Carabiner. 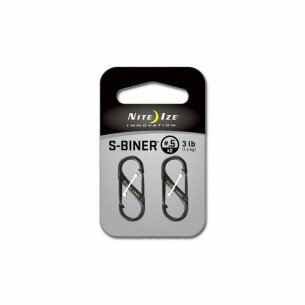 S-Biner SIZE # 3 (SB3-03-01) of Nite Ize®. Made of high quality, weather-resistant stainless steel. 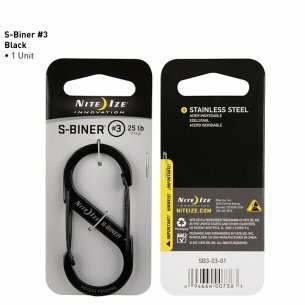 S-Biner SIZE # 2 (SB2-03-01) of Nite Ize®. Made of high quality, weather-resistant stainless steel. 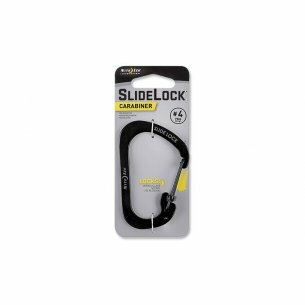 Carabiners are a practical and convenient way to pin items and combine them together. 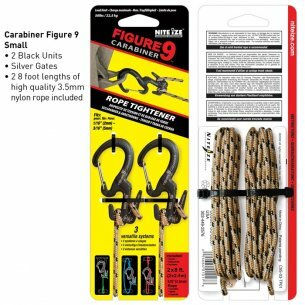 They are most useful when working on ropes, for example when climbing or mountaineering (window cleaning, construction works), they also work as a safety catch for working at heights. 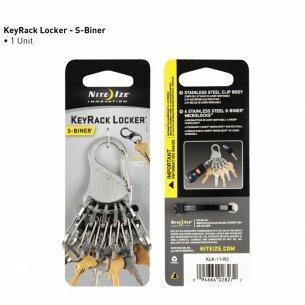 They also find many other applications, with the help of a carabiner you can attach items to your backpack or belt, you can easily assemble and disassemble structures tensioned with ropes, or simply pin the keys to it. As you can see, this item is useful in almost every situation. 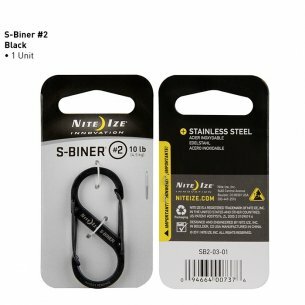 Our store's offer includes several types of snap hooks from the American company Nite Ize, specialized in the production of recreational and tourist equipment. Thanks to the wide selection, you can choose the equipment that will be used in all described as well as in many non-listed situations and applications. 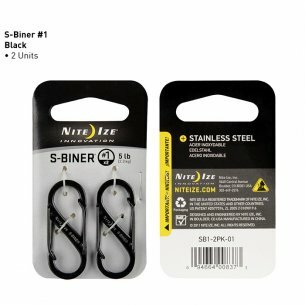 S-biner snap hooks are made of stainless steel or high-strength plastic, they have a secure clasp made of stainless steel with a spring. In some models, also protection against opening. 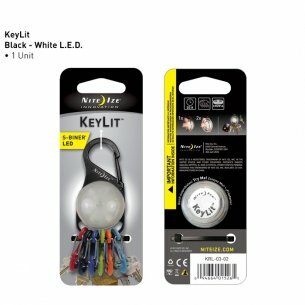 They are suitable for many tourist applications, combining items of equipment, and smaller sizes for carrying keys. 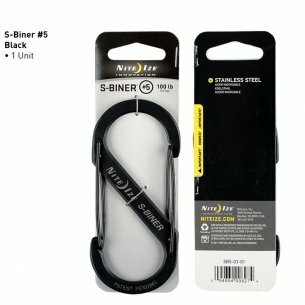 The offer also includes S-Biner keyrings for keys, these are S-Biner KeyRack Locker, with the top fastening as in all carabiners of this type, and the lower ones with a row of smaller carabiners for fastening keys, and S-Biner KeyLit, which in the bottom part has an ergonomic plastic ball for easy handling. 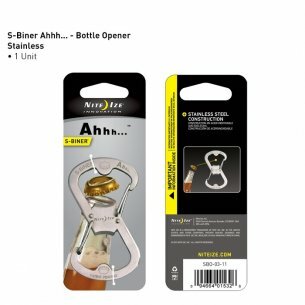 An interesting gadget is S-Biner Ahhh Bottle Opener, which is an S-biner snap-hook with the function of opening bottle caps. 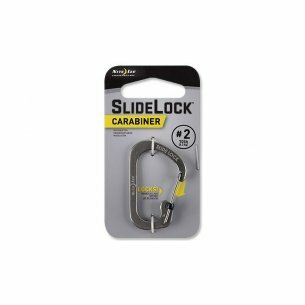 Another type of carabiner is Nite Ize sidelock, a classic one-piece snap-hook with closure. 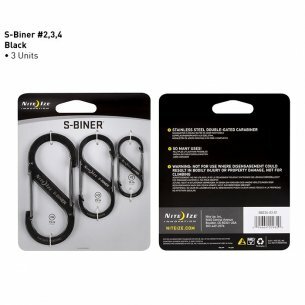 In our store we offer two sizes of such carabiners, 2 (43.6mm x 28.9mm x 2.5mm) and 4 (78.5mm x 52.0mm x 3.0mm). 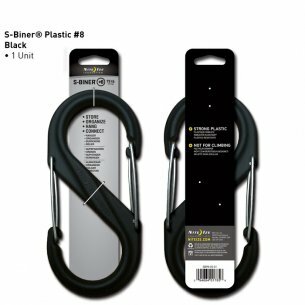 Such snap hooks are a classic solution for attaching items to hiking gear, they will prove themselves in climbing equipment and for moving objects in everyday life. They also work as snap hooks for dog harnesses and leashes. 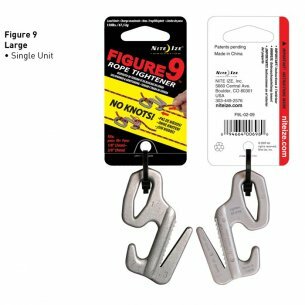 The simple, reliable design of these high quality stainless steel snap hooks with a strong closure (also made of stainless steel) with a spring will ensure long-term use. They are available in black and steel. 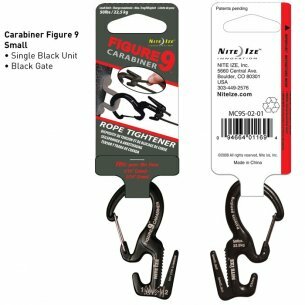 These carabiners are made of very durable aluminum alloys, providing them with durability and durability in extreme conditions and corrosion resistance. 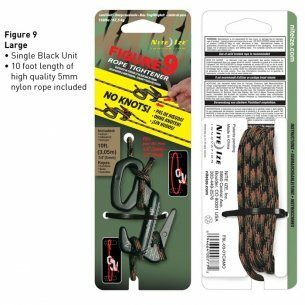 The small version is available in two variants, with a solid (closed) upper eye for the rope, or with the upper part with a clasp with a spring. The large version only appears with a closed eye on the rope. 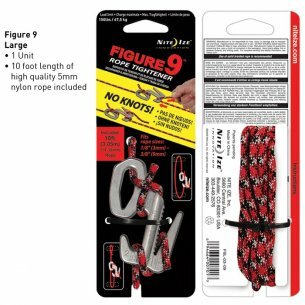 In the lower part, both versions have specially shaped teeth to attach the rope, which allow for quick attachment without tying up complicated nodes. 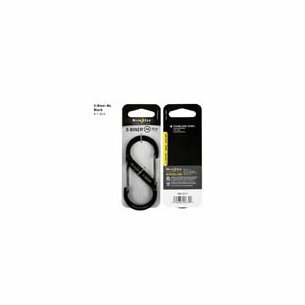 There are sets with a short (2.8 feet - about 1m) piece of nylon cord (allowing, for example, to create with a carabiner a handle for carrying items) or without it. The package contains instructions on how to securely attach the rope on these types of carabiners.